The Bran Castle, first built by Teutonic Knights in 1377 to protect Kronstadt (Brasov) from Ottoman attacks, became a key guard post at the Carpathian Mountain pass for the Austro-Hungarian Empire’s hold on Transylvania. Gifted to Queen Marie of Romania by local citizens after Transylvania became a Romanian province in the early 1920s , she restored it into its present state. In 1950, after expropriation by the Communist government, the castle became a national monument to which was added a museum of restored village buildings. On June 1st, the castle will be officially opened to the public. On Monday, the Bran Castle became property of the Habsburg family again, the handing over and reception report being signed at 12 AM, Corin Trandafir, the solicitor representing the heirs, told Agerpres. 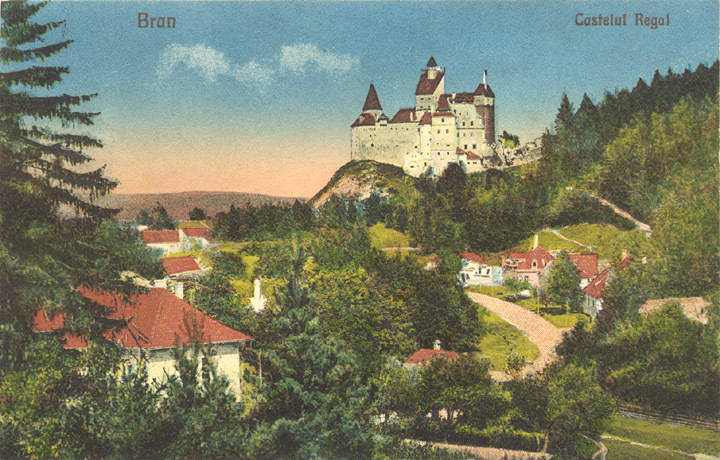 Three years after the actual restitution of the Bran Castle, during which time it has been managed by the state, the tourist site is now privately operated. On June 1, the castle will be officially opened to the general public. The inauguration will include a private castle tour and the launch of the Chateau – Bran – Merlot 2007 wines in a limited edition (10,410 bottled) and Cabernet Sauvignon, a collection edition (1,377 bottles), with the original signature of Dominic of Habsburg. The castle will welcome visitors as of June 1, the opening hours being 9AM – 6PM (except Mondays when it closes at 12 h). A special children’s programme – ‘The Medieval School’ will be organised at the Bran Castle after the opening, consisting of heraldic painting and iconographic, fencing or archery workshops. According to Corin Trandafir, the castle has been refurnished both with personal items of the Habsburg family and with new ones. For a month, the Bran Castle visiting hours were been changed to allow for the items to be moved from the castle to the Medieval Customs Museum and for the castle to be furnished with items brought over by Dominic of Habsburg. The Medieval Customs Museum neighbouring the castle will be opened by the representatives of the Ministry of Culture on May 31, this year, Dorin Ioan Narcis, Director of the Bran Museum Complex, told Agerpres. A special moment of the inauguration of the museum will be the bringing of the case containing Queen Maria’s heart. 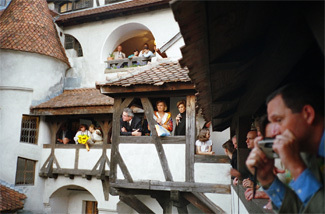 The heart in the small case brought by the Queen from England will be wrapped up in the sovereign’s flag and laid down at Bran, where it will remain until February 2013 when it is set to be given back to Dominic of Habsburg. The case will be shown at the Bran Medieval Customs Museum in a special vault in Queen Maria’s bedroom. 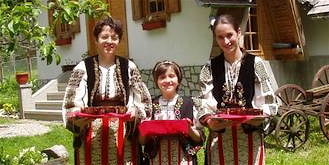 Together with the heart, another item that will be lent to the Bran Museum is an icon Queen Ana gave the Romanian National History Museum in May 2007. ‘I would have liked the state’s collections to be kept in the castle, but we cannot afford to finance a castle without enjoying some of the benefits. About this particular aspect, the other party (the Habsburg family – our note) was not as flexible as I would have liked them to be. However, the family is willing to keep the castle open to the public and possibly to sell it to us. The debate will take time. I insist on an objective evaluation to the liking of both parties’ Culture Ministry Theodor Paleologu stated at that date. 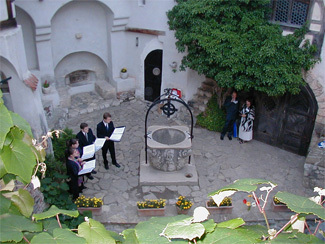 The Bran Castle was returned to Dominic of Habsburg in May 2006. The Parliamentary Subcomission for Investigations decided that the document by which the Bran Castle was retroceded is considered to be null since the retrocession has not been made accordingly to the requests of the Law and the Constiturion. The Subcomission report will be forwarded to the Plenum of the Chamber of Deputies which is to give a verdict through a decision, so that the Parliament would have to inform the Government, the Highest Court of Cassation and the other institutions. Romania’s culture minister Adrian Iorgulescu said the return of the country’s historical monument Bran Castle to its rightful owner was legal, adding that positions of members of the parliament committee investigating the retrocession are “political”. He also said it was not the ministry that returned the castle, but the castle’s manager, Narcis Dorin Ion. 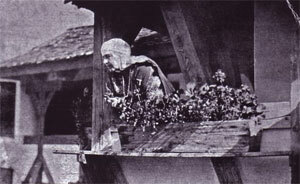 Top Rt: Queen Marie at the castle in the 1930s. Grand-daughter of Queen Victoria (England) and niece of Tzar Alexander, she brought Romanian culture to world attention. 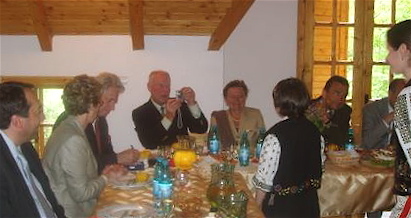 TopLft: Dominic and Nella Habsburg at initial restitution reception at Bran Castle. Photo©Cotidianul. BUCHAREST – Minister of Culture Adrian Iorgulescu will sign with the lawful heir of the Bran Castle , Dominic von Habsburg, the decision to return the Bran Castle on May 26. Iorgulescu says that, according to an agreement forged by the parties, the Romanian State will continue to manage the Castle until 2009, with Dominic von Habsburg to appoint a representative in the Board of Directors. 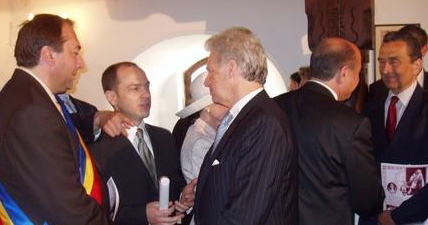 As for what will happen after 2009, things are not yet clear, but Iorgulescu claims Dominic von Habsburg has no intention to change the Castle’s current destination. Dominic von Habsburg is the heir of Princess Ileana, aunt to former King of Romania Michael I and daughter of Queen Mary and King Ferdinand. He is an architect in New York and has never returned to Romania after his family was forced to leave the country in 1948. “The owner expressed his intentions to keep the castle’s destination as a museum after 2009 as well. In this respect, as of 2009 Dominic von Habsburg will be bound to cover all management and maintenance expenses for Bran Castle, unless the owner negotiates a direct sale of Bran back to the Romanian State,” Iorgulescu explained. Bucharest authorities initially stated that after the three years the Romanian State may buy the castle back from Dominic von Habsburg for EUR 20 M. “But this was not a feasible project. Later the owner’s attorneys filed for restitution in kind. However, I would not rule out the scenario in which, if the owner is interested in a negotiation with the Romanian State, the respective minister of culture will negotiate the acquisition of the Bran castle against a specific amount. Anyway, in this case, under the law, the Romanian State will have pre-emptive rights for the purchase,” the Minister added. Although the Romanian State is giving over ownership of the Bran Castle, the Ministry of Culture continues to invest in the estate. Minister Iorgulescu announced yesterday that ROL 17 bln was allotted for restoration works in the Bran Castle. “We want this museum to continue to be high-performing, as it is currently one of the most visited museums in Romania, and even a profitable one,” Adrian Iorgulescu pointed out. A descendant of princess Ileana (sister of Carol II), Dominic de Habsburg, said in an interview for the Financial Times that although there is no legal agreement yet, the Romanian government has said the restitution will be done this month. “For me this is moving and extremely important. I spent my childhood there and I have very good memories,” he said. Bran Castle, which was first documented in 1377, is situated 30 kilometers from Brasov and is an important historical and tourist monument. In 1920, it was donated by Brasov County to Queen Marie of Romania, in recognition of her contribution to the unification of Romania in 1918. She left it as inheritance to Princess Ileana. During the communist regime, the castle was seized by the state.